Sea transport is relatively eco-friendly as it only accounts for 3 to 4 percent of total global gas emissions. However, most ships are fueled by low-grade bunker fuel, or heavy fuel oil (HFO), that contains 3,500 times more sulfur than diesel for cars, making the shipping industry the biggest emitter of sulfur dioxide (S02). At current emission levels, the shipping industry will account for 17 percent of total global emissions by 2050. Compared to more common methods of transportation, the shipbuilding industry still lags behind in technology for a sustainable future. Why is the Shipbuilding Industry Behind in Technology? The advent of container ships dates back to 1956. About a decade later in the 1970s, there was a boom in demand for container ships along with the industrial revolution. Then, demand boomed again during the dot-com bubble. The bubble burst in 2001, and the world faced yet another recession in 2008. From this slowdown in overall trade and economic activity, the world now has an oversupply of container ships, and economists project it will last up to 2025. This is bad news for the shipbuilding industry as well as their supplies. In fact, during the first half of 2016, a reported 20,000 people from the shipbuilding industry lost their jobs in Korea, the third largest shipbuilder in the world. Steel suppliers were also hit hard with China’s oversupply of steel crowding out the market. First of all, the global export to GDP ratio is projected to increase from 30 percent in 2015 to 33 percent in 2035. According to the World Trade Organization (WTO), in 2017, there has been an estimated 2.4 percent growth in the overall volume of trade, and an additional 2 to 4 percent projected for 2018. Export orders and container shipping have increased in 2017 as well. With 90 percent of the world’s trade goods transported via ships, things are looking up for the stagnant shipbuilding industry. Another piece of good news for the shipbuilding industry and environmentalists came at the end of 2016 when the International Maritime Organization (IMO) announced the new global cap on the amount of sulfur for marine fuels at 0.5 percent by 2020. With full compliance, it will result in an 85 percent decrease in global S02 emissions. The outlook of global trade and the new IMO emissions cap will mean new business for shipbuilders as well as their suppliers. Operators working with ships and fuel that meet current emissions requirements will have to either modify their vessels, opt for low-sulfur fuel or turn to alternative solutions such as Liquified Natural Gas (LNG). Remember the overproduction problem mentioned earlier? Not every company has the financial resources to build brand new, eco-friendly ships or switch to low-sulfur fuel. At the moment, low-sulfur fuel is about 50 percent more expensive than low-grade bunker fuel. Nearing 2020, those prices are projected to increase a lot, due to skyrocketing demand. 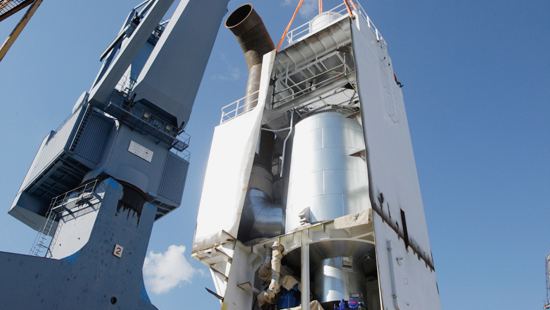 An alternative way for ship owners to meet the IMO emissions cap by 2020 is installing scrubbers. Scrubbers are exhaust gas treatment plants that use water to clean the gas exhaust produced by ships before it is expelled into the air. They typically require 1 to 2 percent of total main engine power to operate and cost an estimated USD 5 million to install. UBS Limited reported that about 19 percent of ship owners will embrace scrubbers as solutions while about 74 percent will turn to low-sulfur fuels. Already, companies are jumping aboard. Technology company Wärtsilä will install their scrubber system to two 56,000 DWT Handymax bulk carriers for NYK Bulk & Projects Carriers Ltd. in Japan. The vessels are scheduled to be completed by 2018 and 2019, and will meet the new IMO sulfur emissions cap. Dutch company Spliethoff will also install scrubbers on six of their multipurpose vessels to be built in 2019 and continue burning HFO. 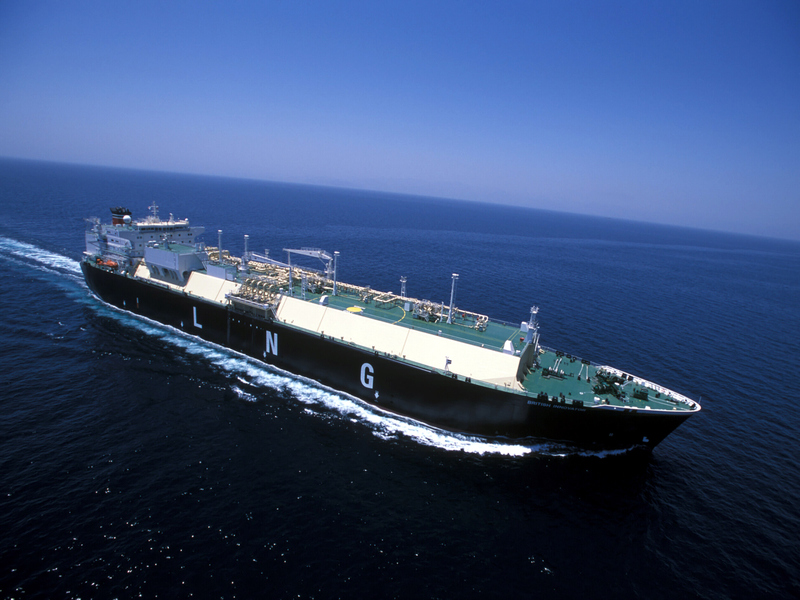 Many of the carriers in operation today can run on several different types of fuel, including LNG. Even among concerns about the lack of facilities accompanying LNG, it is favored by suppliers, manufactures and environmentalists alike. Burning LNG emits zero S02 and particulate matter, and up to 25 percent less C02 and up to 90 percent less nitrogen oxides (N0x). An increasing number of companies are investing in the LNG solution. Energy company Shell acquired LNG producer BG Group in 2016 for USD 50 billion; Volkswagen will employ two LNG carriers to ship their products between Europe and North America; and as of August 2017, three new shipbuilders joined SEA/LNG, a non-profit coalition that advocates the use of LNG for ships. Mitsui, Novatek and Sumitomo are the latest of the 29 members. Although LNG is by far the most environmentally friendly solution for the shipping industry, it requires more space and adds weight to a vessel, using up more fuel. 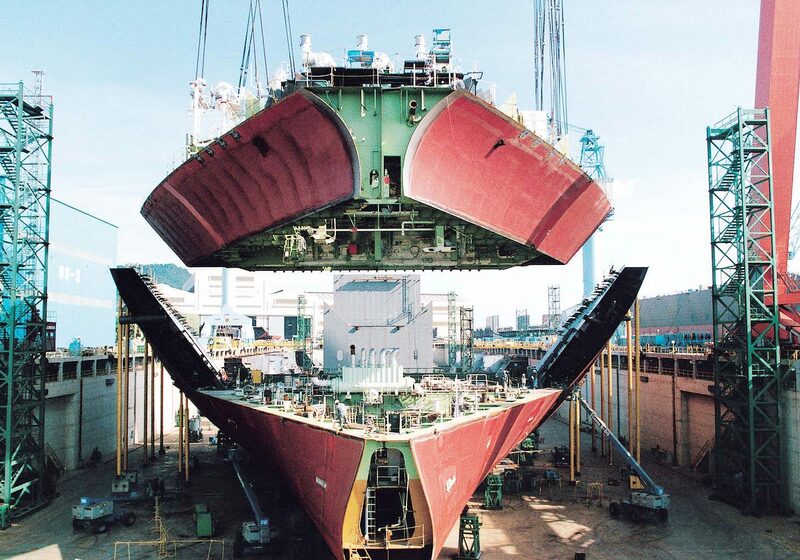 Shipbuilders need thinner and lighter material solutions to cope with this issue. All of this is why Hyundai Mipo Dockyard chose to build the world’s largest LNG-powered bulk carrier using POSCO’s High Manganese Steel. The vessel will yield up to 50,000 tons of cargo, seven times more than existing LNG carriers. The high manganese component allows the LNG to be kept at the freezing temperatures of -162℃. It out performs other traditional materials in strength, toughness and cost effectiveness. The carrier will be in operation in Korea beginning in 2018. POSCO also supplies stainless steel for Korea Gas Corporation’s membrane-type LNG carriers starting from 2016 and is the world’s only supplier of stainless steel for membrane material. The projected overall increase of worldwide trade and new environmental regulations will place a financial burden on ship owners. However, it is an opportunity to generate business in different sectors of the shipbuilding industry such as in parts manufacturing, energy and steel supplies. 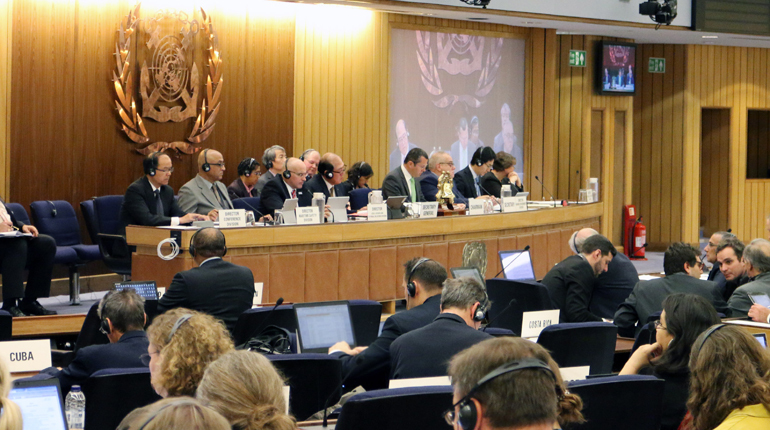 Such parties need to continue to find solutions to modernize vessels and comply with global standards to meet the demands of world trade in the very near future. POSRI Report: Will Volatile Steel Prices Continue into the Future?